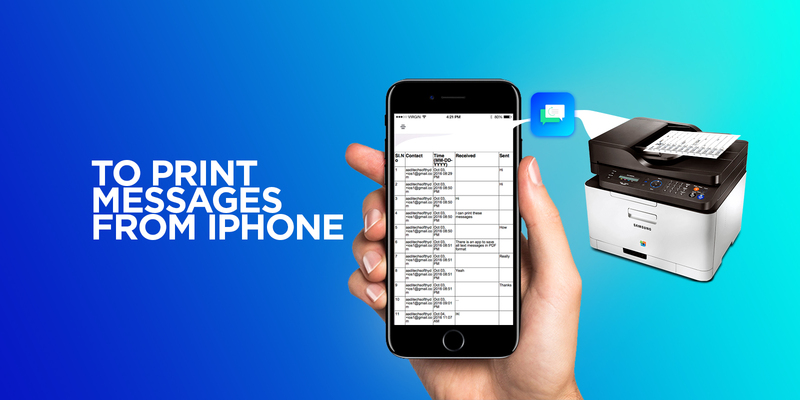 The texts on your iPhone are now one of your most important forms of communication with your friends, family, loved ones and coworkers. Maybe a friend sent you a funny joke that you want to save or maybe you need to make a backup of a text for legal purposes. Whatever the reason, iPhone SMS Backup lets you access and save your iPhone’s messages on your Mac or PC. 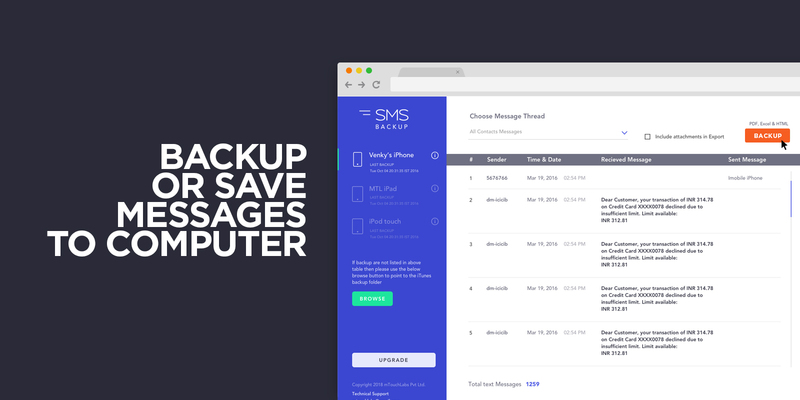 Backup or Save iMessages from your iPhone/iPad to your Mac or PC. So no matter what happens to your iPhone, you’ll have your precious messages stored in a safe place. iPhone SMS Backup free version is limited to preview SMS or text messages. To save them to your computer, kindly upgrade. Purchase single user licence key to upgrade. Key can be used to upto 3 different computers. Once you upgrade, all future updates are Free and we provide technical support if you need any help.